Above: Toast of the Town is a dark, cool-toned taupe shimmer with mint green shimmer sparkles...but wait! Is it? Below: Maybe it's a muted burgundy with gold and pink shimmer. Below: Oooohhh, it's a duo chrome! Whatever it is, I love it. Below: Even if I didn't love it on the nail, I would love it just for the way it looks in the bottle! Happy 2010! For our first FFF of the year, one winner will receive a boxed bottle of MAC's Toast of the Town nail lacquer. This is my absolute favorite MAC polish. I included it in yesterday's post as one of my 10 Ten, and I have raved about it many times. Toast of the Town was an LE shade, one of 2 offered in MAC's successful MAC Loves Barbie collection in the Spring of 2007. If you're familiar with their Moth Brown eye shadow, it reminds me of that, only intensified. I've often wondered if they were meant to resemble each other, because both were part of this collection. It can be difficult to find, so when I spied another one at a Cosmetics Company Outlet recently, I picked it up to use as a FFF prize. I ordered many products from that collection, but passed on the polishes. Naturally, it was sold out by the time I realized that I needed this in my life, so I was thrilled last Spring when I located one at the same CCO I found this second one at. The Rules: Followers only, leave your eMail below in the comments section as your entry, all entries must be received by midnight tonight. This is a major lemming of mine! I'm totally in for this! beautyjudyblog@gmail.com Thanks for all the wonderful giveaways, Mary! I love this, it's been on my lemming list forever! Wow - that's a gorgeous color!! that polish is so gorgeous! happy new year! ah - all you had to say was "moth brown" and i'm sold! Great color--see why it made your top list! This is a cool looking color. Please count me in. Yay love the color of that polish! Happy New Year! I love duochromes. 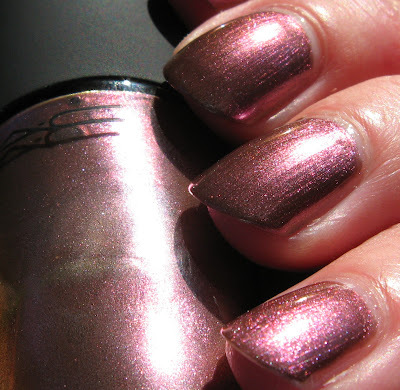 Stunning color, and super generous of you to give away a bottle of a super-rare fave color! I love this colour. Happy New Year. That is beautiful! I've never tried MAC polish before. Happy New Year! so pretty! it would be my first mac polish, too! Of course I'm in! Love your give aways! And I follow you with google reader. 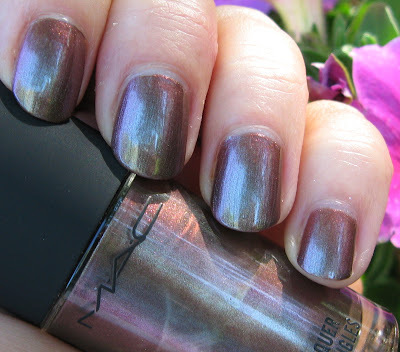 would be awesome to try a MAC nailpolish, this one is really nice! please enter me to the FFF. 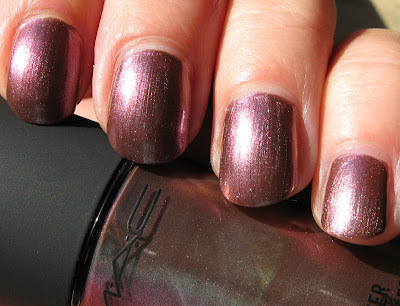 I've never tried MAC polish, but this one looks incredible! Cool giveaway - thanks for the chance at it. thank you! i'm a follower lin lin ong on gmail! Happy 2010, Mary! You are wonderful! I hope you have a great 2010! GORGEOUS! Don't own any MAC polishes! What a fantastic looking colour! I follow through an e-mail subscription. Since you didn't mention which time zone, I'm going to quick post my addy for this. I will also curse the sinus headache that kept me from being online & seeing this earlier. e-mail notification about a new post. Wow! This looks just like my favorite MAC polish! I got excited when I saw that it could be! I wasn't sure because it looks different at different angles and in different lighting. I saw the name and it wasn't Silverstruck, my fav, but it's soooo similar! Both are taupe-y, metallic, and have a tinge of purple. Silverstruck came out with the Cult of Cherry collection. 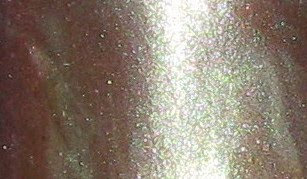 I think Toast of the Town has more purple to it and is darker, but since you like this you may like Silverstuck also: http://fashionbeautyetc.blogspot.com/2008/08/review-mac-cult-of-cherry.html I MUST GET TOAST OF THE TOWN NOW! It's gorgeous! such a beautiful color, but have no idea what time it is where you are, but hope I will make it in time, been working my way through 600 blogposts the last couple of days so got this now :( Hope its not to late would love to enter this. Again I missed FF. That a beautiful polish. Love the color. Am I too late? Oh, I hope not.